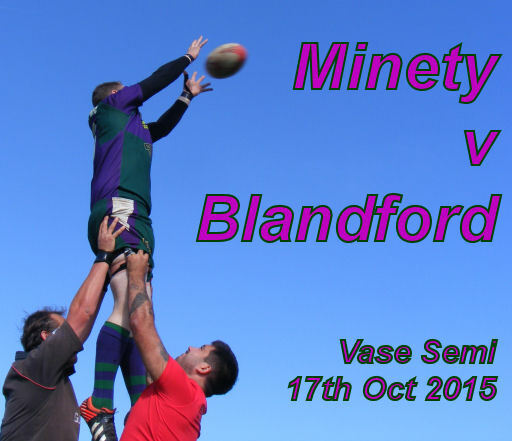 A Minety team lacking 7 regular first teamers was comprehensively beaten by 41 – 0 by a well organised Blandford team in the semi final of the Dorset and Wilts Vase at Minety Fields on Saturday. Playing uphill in the first half, the Minety pack struggled against a powerful Blandford scrum. 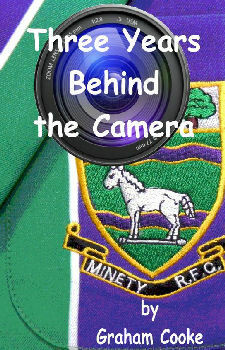 On the back foot, the Minety backs had little chance to mount any sort of counter attack as Blandford ran in four tries. In a more evenly fought second half, it was only two late tries for Blandford in the last five minutes that flattered the scoreline. Coach Andy Ward added, “We played against a well drilled side featuring a very strong pack. The tries all came about when our scrum was being forced back. I know it was a big defeat but I was proud of the way that our lads stuck to the task and never let their heads go down. There is much that we can take from this defeat as we resume our league campaign away at Melksham next week. Venue : Minety Fields, Minety. Weather conditions: Cold and overcast. Competition: Dorset & Wilts Vase semi final.